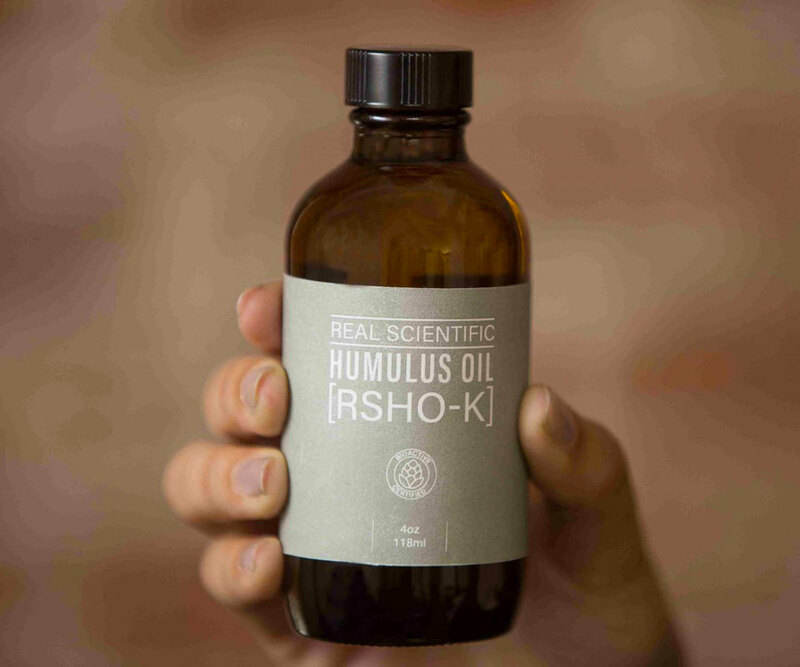 Real Scientific Humulus Oil, or RSHO-K, is CBD oil's attempt to bring relief without the leaf. It's the first (and currently only) CBD oil supplement that isn't derived from the cannabis plant, and has never been in a relationship with, roomed with, or even lived in the same building as THC. RSHO-K's CBD comes from the Kriya brand Humulus plant, a variety of the hops plant that grows in India. Humulus Kriya also contains high levels of CBD, plus the terpenes beta-caryophyllene and humulene. Not extracting the essence of RSHO-K from the cannabis plant also means this CBD oil can legally ship to all 50 states and US territories. If you're not sure why you'd want to take a CBD oil regardless of what plant it's been sucked out of, check out our review of the best CBD oil websites for anxiety & chronic pain. 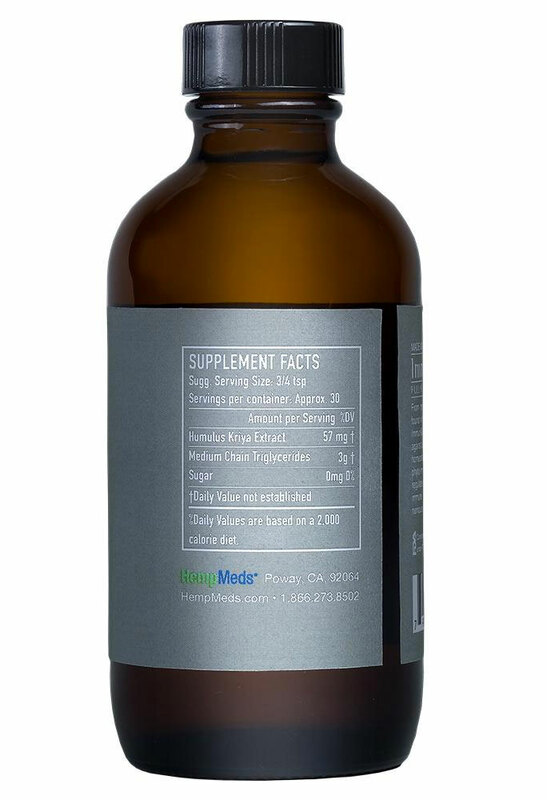 For those already familiar with and enthusiastic about CBD's properties, RSHO-K is sold in 4-ounce bottles containing a total of 1000mg of CBD. 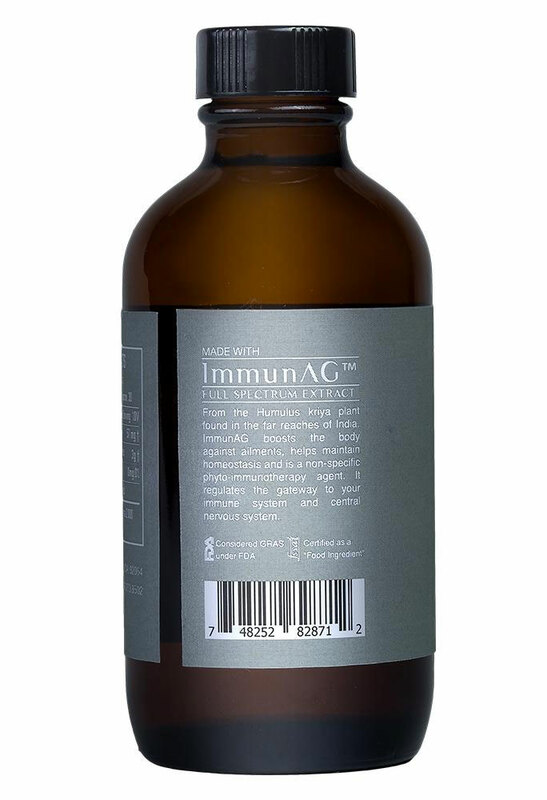 The brand has a patent-pending Humulus tincture it uses in the oil called ImmunAg, which is listed as Generally Regarded as Safe (GRAS) by the FDA. I've spent the last month or so testing out a bottle of RSHO-K. As background, I don't suffer from chronic pain, and don't consider myself to have generalized anxiety. So I wasn't looking for this CBD oil to ease specific symptoms, I just took it regularly and tried to figure out how it made me feel. According to my wife, figuring out how things make me feel, and then putting it into comprehensible words is not strong suit. I'll do the best I can here. Upon taking RSHO-K, I feel scratchy. OK, to me the oil tastes like orange and pine; maybe an orange tree in a pine forest. Not bad at all. But even though the dosage is just 3/4t, and I usually stick to somewhere in that vicinity, one strange thing I notice is it makes my throat scratchy for a few minutes starting about 30 seconds after I swallow it. Scratchy like I want to keep Ahem, ahem, ahem-ing to make it go back to normal. No other negative side effects though. In terms of making me feel good and chill...I don't know. The most honest and concrete effect I can attribute to RSHO-K is that it alleviates the sense of dread I often let fester about doing unpleasant tasks. You know, like going to spin class. Folding laundry. Pressure washing the balcony. Spending the weekend with my in-laws. When I have a regular chore or event on my calendar that I am not looking forward to, I tend to build up its awfulness in my head and attach an excessive sense of dread to getting it done. It's never as bad as I make it out to be, but the hours / days / weeks of angst leading up to it sure are. Taking the RSHO-K oil though, I found I didn't do this as much. Or if I started to dread something, I just lacked the internal intensity to grow it beyond its seedling stages. That said, individual experiences with CBD (and THC for that matter) varies greatly. If you want to learn more about Kriya brand Humulus and Real Scientific Humulus Oil, Medical Marijuana, Inc. is its official US retailer.